North Atlantic Turtle Organization aka NATO: "Russian Bear, what's that you've got in your mouth? You agreed not to snack on your neighbors." Russian Bear: "Sorry, just habit, I guess. Plus it's spring and I'm hungry again." NATO: "This is going to cost you." Russian Bear: "Mmmm, those Baltic Turtles look tasty, mind if I try one?" NATO: "They remember being in the middle of the WORST part of World War II". Russian Bear: "Oh, yeah, I sort of remember that, killed a lot of them, I guess and then I put them in a bear cage. They're delicious." Russian Bear: "Baltic Turtle hunting season starts soon, can't wait! Uh, oh, what's that damned Amerikanski moving in for? Ranger danger!" Russian Bear: "Well, maybe he'll go away. 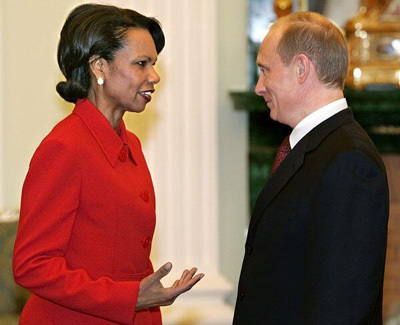 At least Secretary of State Rice is gone, I hate blasted Russian experts!" 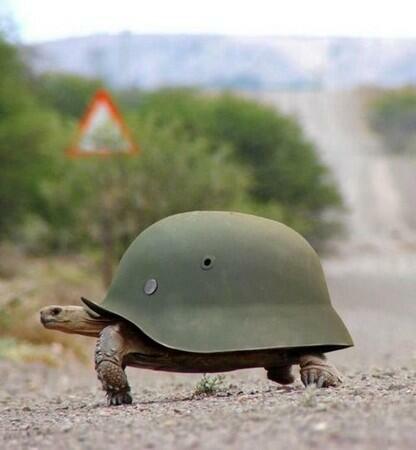 Amerikanski: "Baltic Turtles, heard you got a bear prowling the border. We brought shells. 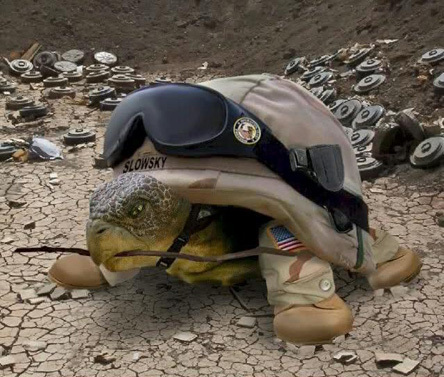 No one messes with the US Turtle Force." 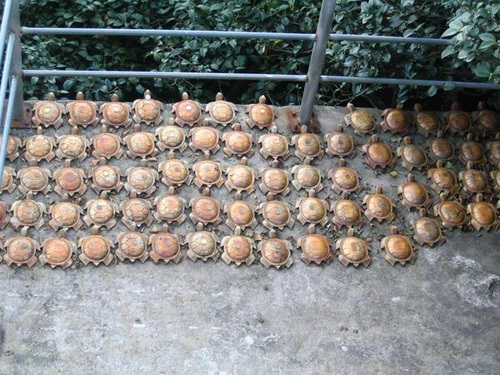 North Atlantic Turtle Organization aka NATO war game on eastern border ready to begin. Russian Bear: I hate that North Atlantic Turtle Organization ESPECIALLY the Amerikanski. Damned cherepakha! 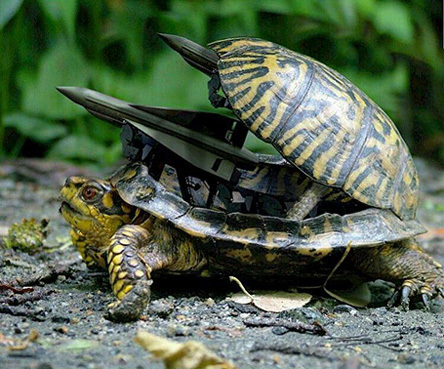 And that's how Turtle War III was averted. This has been "Turtle War III"
Keeping the Baltic Republics turtles safe from Putin's Special Pirate Forces is the responsiblity of everyone!